Hey friends! Did you know that you can earn some extra money writing for revenue sharing sites? The reason I bring this is up is because I talked pretty extensively about InfoBarrel a couple of years back, and based on the response I got, I can see that there is definitely some interest in freelancing and earning money on the side among musicians. And who am I to judge? I know how hard it can be to earn money in music, and having a side hustle can be a good thing if it allows you to be creative while bringing in the dough, right? I don’t want to deviate too far from the subject of music of course, but I thought some additional insights into revenue sharing sites could benefit you. So here are some more thoughts on the topic. Generally, when you first start writing for revenue sharing sites, your earning potential isn’t that great. Now don’t get me wrong; there are a lot of different types of arrangements out there, and some of them can actually help you earn quite a bit. Moreover, the visibility you gain on revenue sharing sites can lead to other paid writing opportunities. However, I have found that your earning potential is basically determined by your output (in effect, how many articles you can write), and how much traffic you can drive to your content. Some writers do earn quite a bit from revenue sharing opportunities, but some are also legitimately overworked, for reasons that aren’t hard to understand when you know how the model works. If you can make more writing more, why wouldn’t you write more? But writing can be tough, time-consuming work, so in my opinion you really have to pick your battles. Not all sites are going to be worth the return on investment. Your expectations need to be realistic. I have heard of writers that earn thousands of dollars writing for revenue sharing sites, but they are generally the exception and not the rule. Your earning potential as a revenue share writer is always variable. This is both a good thing and a bad thing. It basically means that you always have the potential to earn more, but you could also experience dips in income at times even as you are in the process of writing and submitting more content. If you’re an established personality in the internet space, you can probably guess that you’re going to make more than those who are virtual unknowns in the space. However, an established personality isn’t necessarily going to go write for a revenue sharing site. They’re probably busy serving their clients or writing for their own blog. Whether you’re known or not, it’s always a good idea to take a look at the big picture. Consider what the payoff is. How much traffic the site gets. If it gets a lot of traffic, then you may be able to attract new followers to your site/blog/business/social profiles. How engaged the audience is. If your earnings are contingent on exposure, then it’s a good idea to write for a site whose audience is already engaged, and is actively sharing and commenting on new articles. Who you have the potential to get in front of. Are media people or influencers actively checking or writing for the site? Are certain companies or businesses keeping a watch on new content? Can you connect with influential industry people? If there are any additional earning opportunities. If you’re just splitting ad revenue, you can already guess that the payoff isn’t going to be huge (though it can grow over time). Some sites may offer a base rate for your time, or provide you with other earning opportunities, and this is good to have. 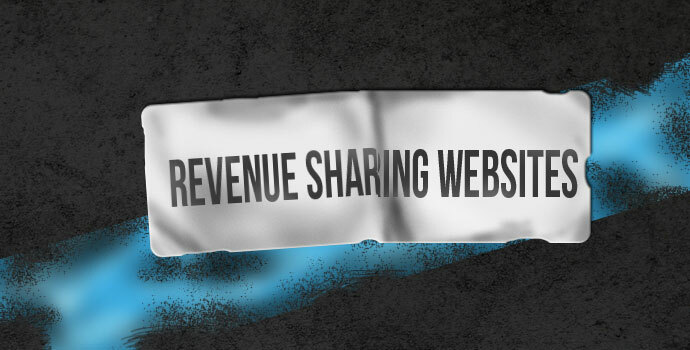 Carol Tice also has some really great suggestions on what to look for in a revenue sharing site on her blog. When possible, you should look for opportunities that aren’t just a means to an end, but could also open new doors in your writing career. If you’ve been following along here at The Music Entrepreneur, you probably know already that writing makes up for a significant chunk of my income. These days, I’m not writing for revenue sharing sites at all. I didn’t lose interest, but I have enough client work on my plate without having to think about writing articles for other online properties. I still write a lot, and I certainly contribute articles to other sites, but I’m either getting paid to do it, or I’m testing it out as a viable marketing channel. I believe the time I spent writing for revenue sharing sites directly or indirectly led to some of the opportunities I’m pursuing today, and from that perspective, it has definitely paid off. The revenue share writing scene keeps on changing. If you want to take it seriously and find the best opportunities for yourself, you should keep a constant watch on emerging sites. InfoBarrel: take a read through the guide I linked to earlier. You can see that I’m pretty enthusiastic about this site. I don’t see much earning potential beyond the shared ad revenue and affiliate offers you can add to your articles, but they have a fairly engaged community, and the interface is relatively easy to use. Just remember to follow their guidelines when making submissions. HubPages: not long ago, HubPages was just HubPages, and Squidoo was just Squidoo, but then they merged to create… HubPages. Your earning potential is definitely less than InfoBarrel, and I don’t think I’ve ever earned so much as a cent from the site, but that doesn’t mean it won’t work for you. Like InfoBarrel, you share ad revenue and you can also post related affiliate ad offers. With HubPages, setting up and optimizing Hubs can be somewhat confusing and time-consuming, but it’s fun if you love that kind of stuff. Bubblews: a site where pretty much everything earns you a cent (if I remember correctly). So if your article is commented on, viewed, or starred, you earn a cent. The concept is not terrible, but after posting eight 400 word articles (which are pretty easily conceived), I only earned $4. If you’re willing to constantly write, promote, connect, rinse, repeat, then you might be able to make a real go of this. Expect to be writing a lot. RedGage: a revenue sharing site where you can post any kind of content and earn money on it by directing traffic to it. Your earning potential is about 60 cents per 1,000 views. YMI Doing This: like the others, you can sign up with them and earn money on your posts by directing traffic. Ad share is 80% for the content creator. You will need to get a Google AdSense account and enter your code, however (HubPages works more or less the same way). So there’s a small sampling of the different sites that are out there. A Google search is sure to turn up more. In the end, neither writing nor revenue sharing sites are for everybody. If you are good at writing, have lots to share with others, and can keep a long-term perspective, there is most certainly a payoff. But that determination to stick to the task is absolutely essential to your success. Income will only be forthcoming as you write great articles and grow your following a little bit at a time. As long as your expectations are realistic, you will likely enjoy the process of writing articles and getting paid a little bit of money to do it. Who knows? It could open some doors to other great opportunities too! What do you think? Are there any other revenue sharing sites you’ve tried before? What was your experience like?